When you visualize yourself on a vacation, you might be chilling on an exotic island beach or traversing the exciting streets of an ancient city. What you actually don’t wish to think about is your children throwing a tantrum or triggering a scene in a peaceful holiday location. No matter if it’s your first ever trip with your first child, or your fourth with your fourth, traveling with kids will always be discouraging. From what to pack to how to reach there, it’s endemic with possible worries. 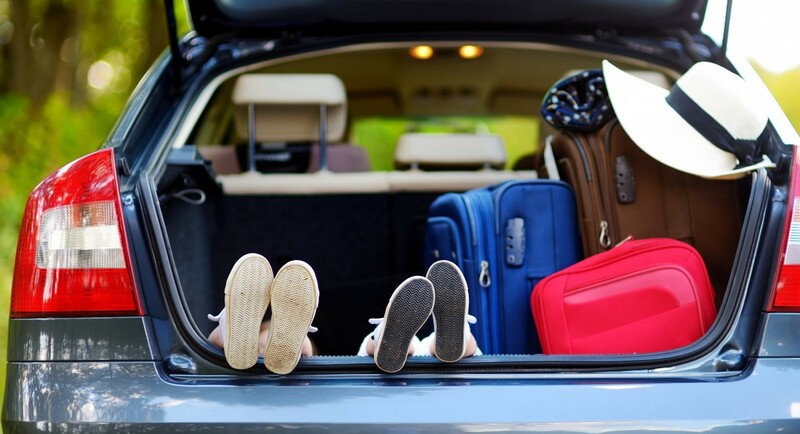 Definitely, unexpected problems may always arise when you are travelling with kids, and you are ought to consider key factors in comparison to the carefree couple sitting in the front seat from you on the plane. Nevertheless, this does not indicate you giving up on enjoying a much-needed vacation. If you make the right itinerary plans and book cheap car rentals in Mumbai in advance, you can reduce the need for any nerve-wracking moments. Planning ahead & booking cheap car rentals in Mumbai is always a best idea when you are travelling with young children and entire family. For example, you are planning a road trip to Goa and do not wish to do a self-drive or get lost in the unknown areas of the tourist destination then it is always advisable to book a Mumbai to Goa Cab. With toddlers in tow, you can make your journey memorable and safe by booking a Mumbai to Goa Cab in advance. Take good advantage of latest technology and take a tab for your child to watch movies, play games, or even read a book. Although we may mope on the misuse of technology these days, it can at times be a great solution to keep the children occupied. Don’t go off on a vacation unprepared. Firstly if you planning to visit hill stations like Mahabaleshwar, ensure you book cabs from Mumbai to Mahabaleshwar for better convenience of your bags. Secondly, consider the kind of weather you are travelling to and pack emergency clothes just in case it is colder/warmer than predictable. If your destination, for example, is shani shingnapur (a spiritual hub) and involves covering a few hours on the highway, go prepared with quite a number of car games in mind. Classics like “Racing Cars” will keep the children entertained from Mumbai to Shani Shingnapur taxi drive. Jayshri Tours & Travel can help you find the perfect Mumbai to Shani Shingnapur or any other popular tourist destination taxi with space for entertainment like in-built TV for your trip with family. Don’t devote too much time napping prior to a long flight, as it will be far more comforting for you if the children plan to sleep during the flight. Most importantly, try not to over-pack so that you do not struggling with huge suitcases & kids as well. Take advantage of family pricing for certain attractions such as Mumbai Darshan Cabs. If you have a huge family re-union trips with kids, there are many tour companies that offer exciting offers on cabs that includes Mumbai Darshan Cabs, Mumbai to Shirdi taxi and Mumbai Surat Cabs, to name a few. Many amazing resorts cater to children, confirming there is suitable safety features mounted in the room. Often, they also host kids clubs which can be an amazing option for keeping the kids engaged while you spend some quality time with your partner. In all possibilities, you will experience those instants where you may regret that you ever planned to book a vacation to the beach. Or you may think why on earth you thought spending 5 hours in the Mumbai to Shirdi taxi was a good idea. Before you start shouting, remember to keep calm – you are on outing. Ultimately, your calm mind will lead you to make a way for some exciting travel moments with kids. How To Select Best Car On Hire For Your Next Business Trip?